Every season brings with it a palette of colors that seem to capture the very feeling each brings. In summer it’s bold and fluorescent colors like yellow, hot pink, and neon green. Spring colors are more subtle, soft, pastels like lilac, mint, and peach. Following the same pattern, winter and fall are accompanied by festive and/or deep hues to give a warm vibe to an otherwise cold season. 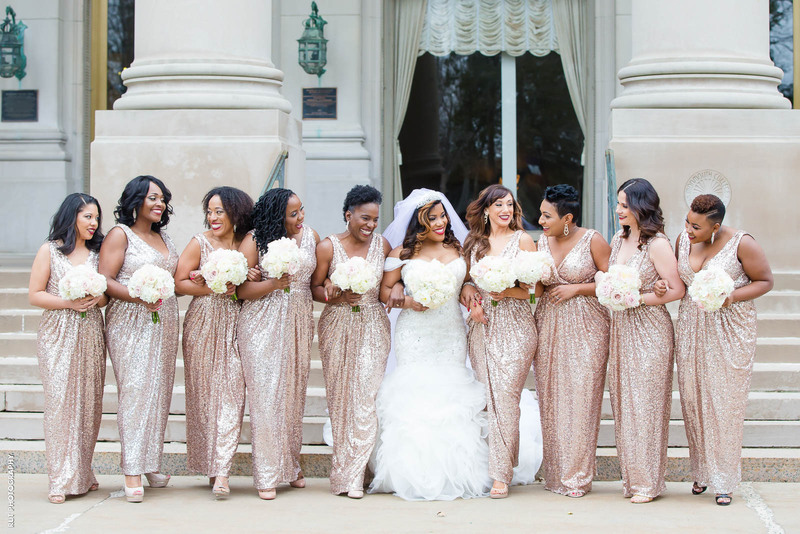 If you’re looking for the perfect bridesmaid dress colors for the holiday season, these are sure to catch your eye. Purple is considered a color for royals. 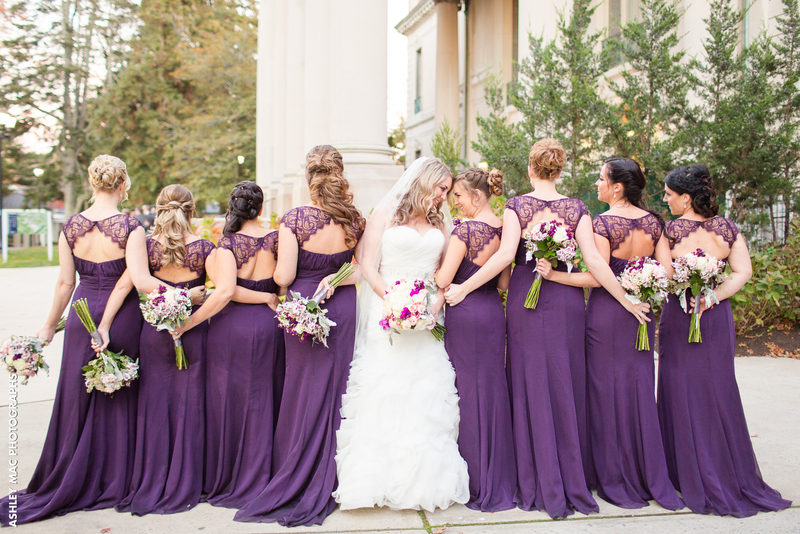 Though beautiful in all shades, it is the darker hues like a plum that stands out most during the cooler holiday season. Gold is a very popular color worn during the holiday season. 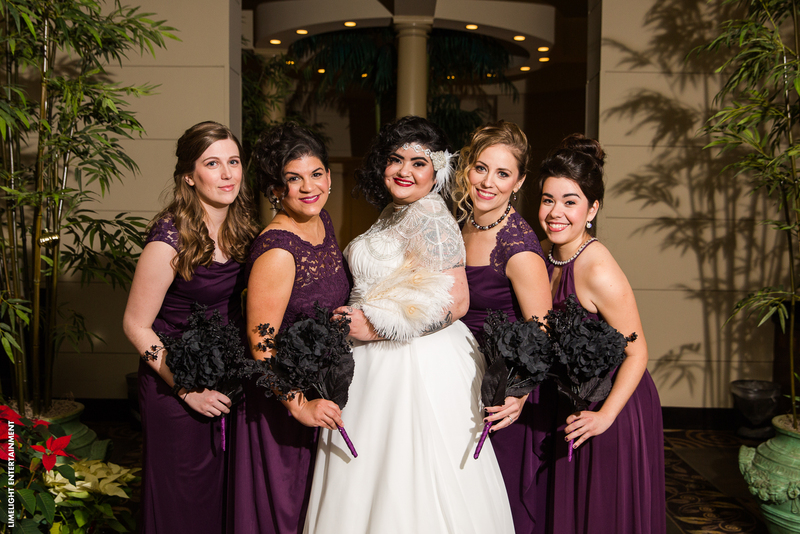 Its rich look gives a touch of class to any wedding. 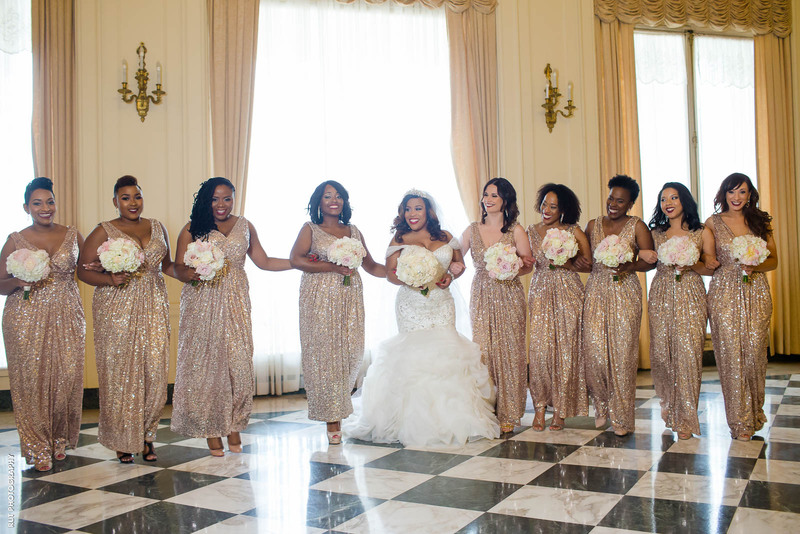 As you can see, the bridesmaids above chose to add a bit of sparkle to their gold dresses to tie in with a very classic theme. 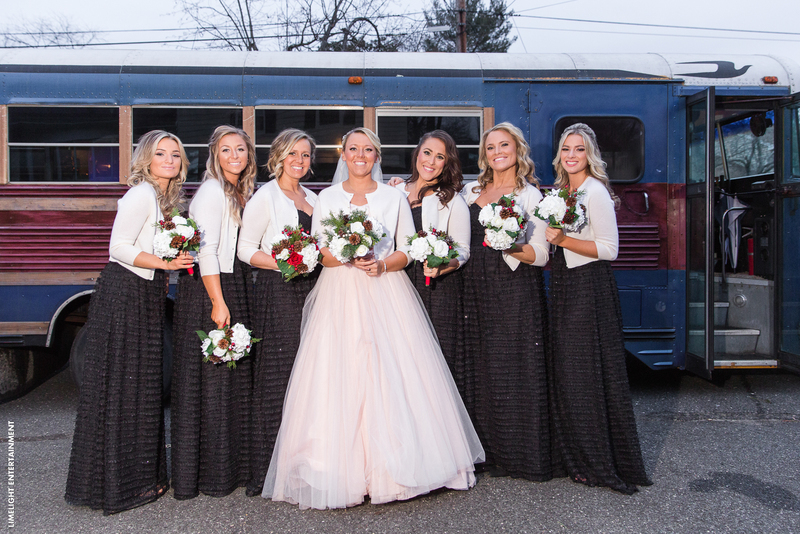 Though it may not have been your first choice for a bridesmaid dress, the truth is, black is a great backdrop. The dark color is again, very classic and regal. 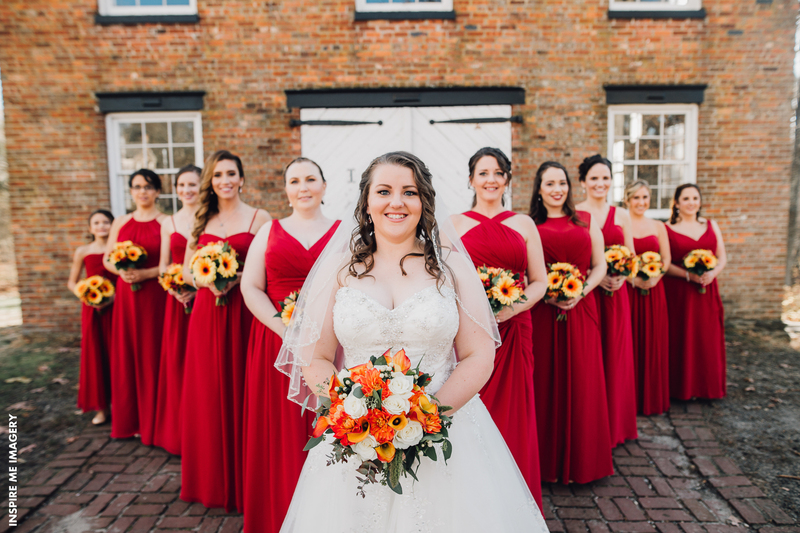 It gives you the freedom to play around with color in other areas such as this bride did above with their festive bouquets. 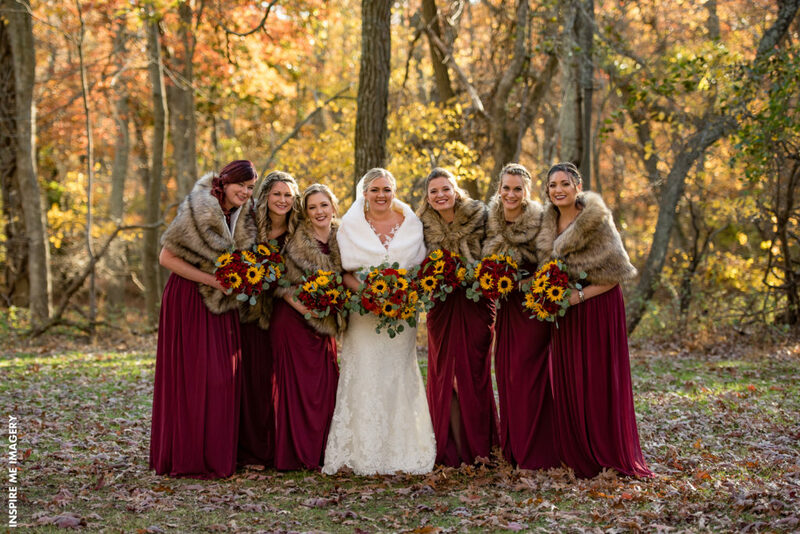 Another popular color worn during winter and fall is burgundy. 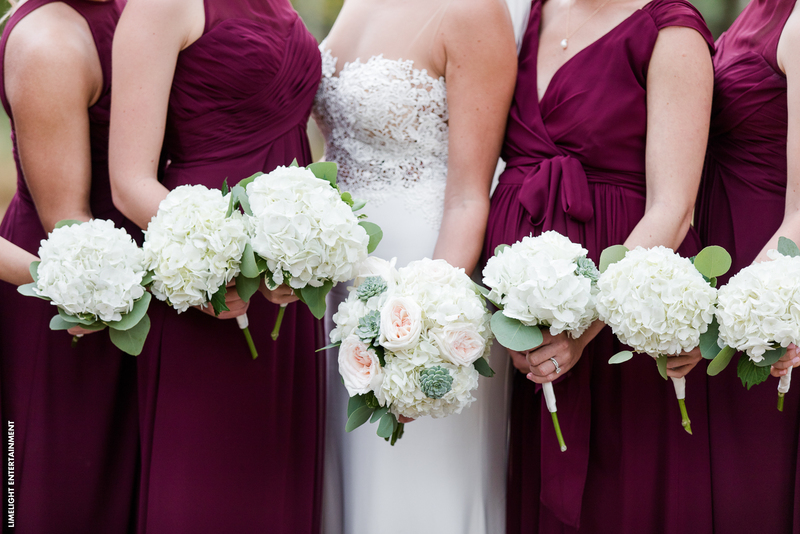 It would seem the perfect marriage of hues of red and purple make this an awesome choice for seasonal weddings. 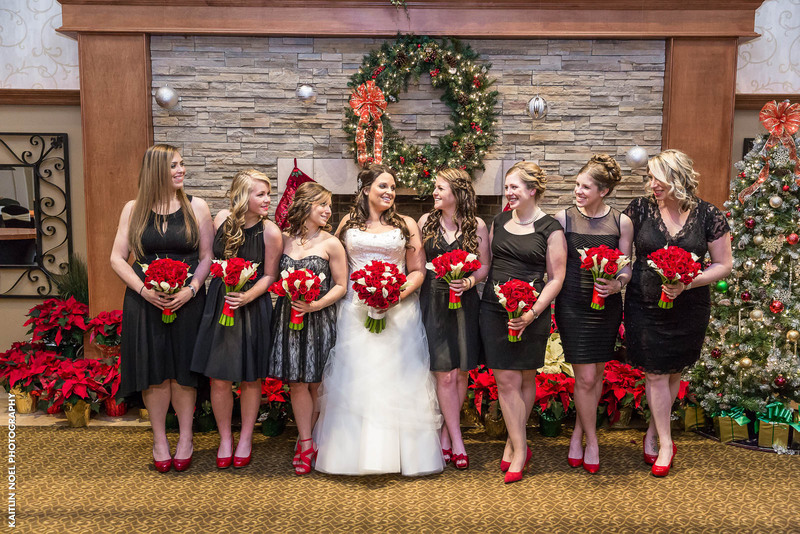 If you’re getting married on or around Christmas then going with red bridesmaids dresses is a great idea. It will blend well with the traditional holiday decor. You can’t have the holiday season without the color green? 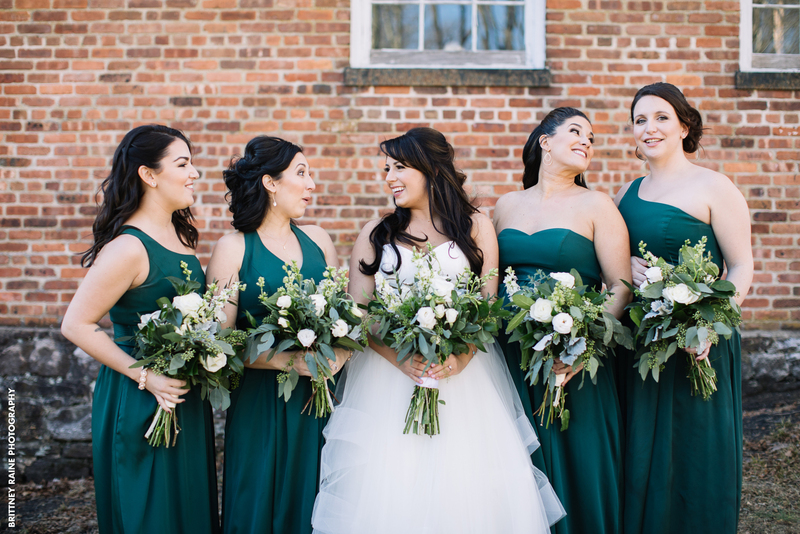 These bridesmaids chose to go with a hunter green very similar to the color of evergreen trees. 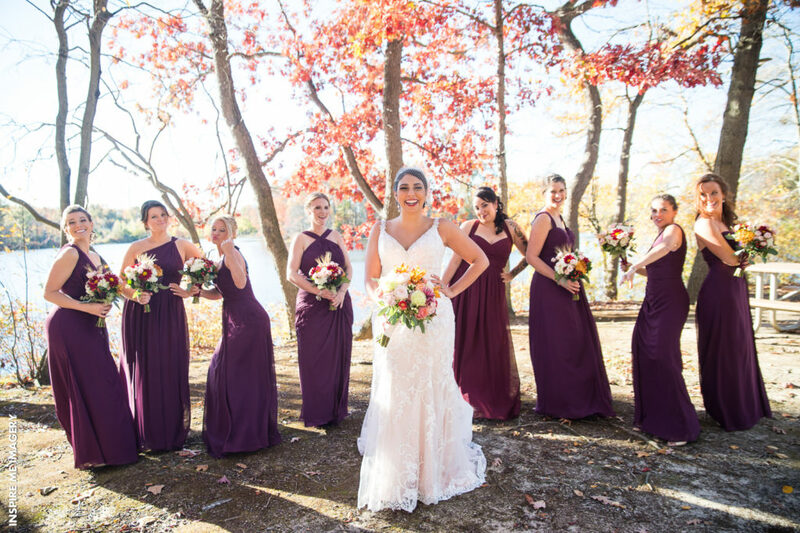 Fall and winter have some of the warmest, rich, deep, enchanting colors of the year. 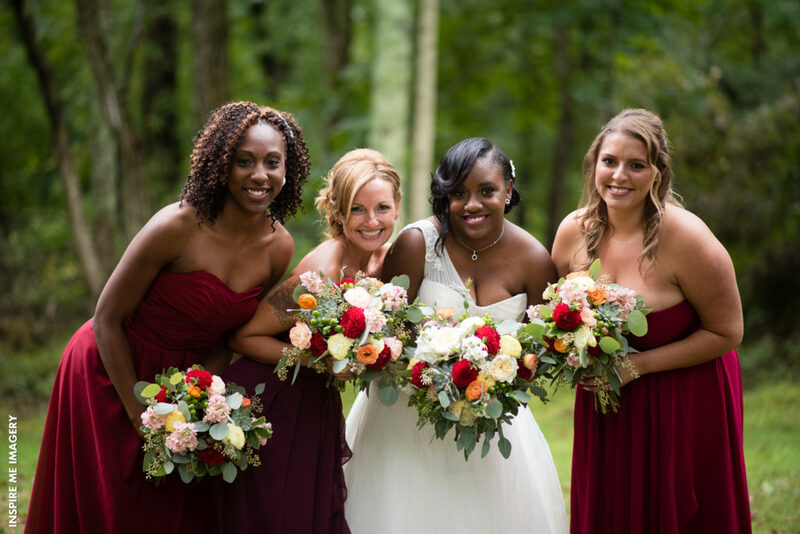 Whether you’re going for a festive, classical, or unique wedding theme, these bridesmaid dress colors are sure to fit.